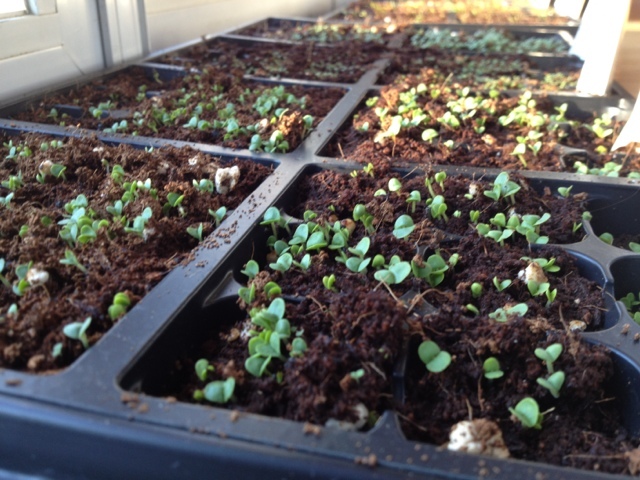 Although it hasn’t been sunny and warm for days, we still have some active sprouts sprouting. I started seeds late this year in an effort to find that balance between starting early indoors without the poor things getting leggy and in desperate need of transplant. This year’s indoor assortment is mostly frost-phobic herbs; everything else was or will be directly sown soon.